New Review of "Leonidas of Sparta: A Boy of the Agoge"
Helena P. Schrader introduces the reader to a sweeping bold view of a period in Spartan history that has long been a subject of debate, speculation, and misinformation. 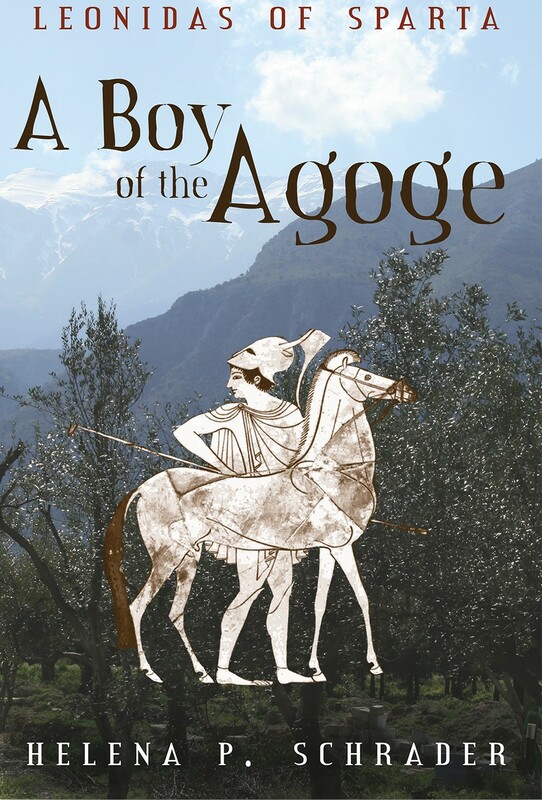 “Leonidas of Sparta: A Boy of the Agoge” is the first novel in a planned trilogy based on the biography of a legendary hero. The first book describes his childhood in the Spartan agoge. The second will focus on his years as a citizen, and the third will describe his reign and death. Schrader is meticulous in her research. She has done a careful analysis of ancient sources and the works of Nigel Kennel to develop her work. Her literary style, superb character development, and creative imagination combine to draw the reader into this compelling story. 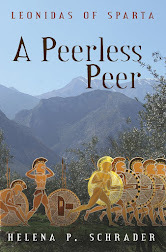 I especially valued her ability to convey growth in maturity in Leonidas and his friend Alkander as they dealt with the pathos of the death within the family, and the inequity and injustice of politics and society. A third member of this tight group, Prokles, chose to express himself through a spirit of cockiness demonstrated by disrespect, disruptive conduct, and irresponsible verbal attacks. The elements of surprise, an ongoing cycle of conflict and resolution, and stimulating dialog blend together to move the plot forward. A large cast of characters, historical and fictional, with names unique to the period, as well as references using unfamiliar words to describe common dwelling places, and titles slowed down my reading. However, these elements add to the validity of Schrader’s competency as a writer. Helena P. Schrader’s writing in “Leonidas of Sparta: A Boy of the Agoge” is informative, entertaining, and enjoyable, leaving the reader eager for more. On my most recent trip to Kythera fire broke out in the mountains behind the airport. My husband and I were on our way to the port to return to the mainland after a very short holiday on the island. As we approached the airport, I noted smoke smearing the cloudless, blue sky. Moments later we rounded a bend in the road and saw the entire hillside aflame. It was August in Greece, and this was a barren mountainside covered with thorn and other scrub-growth – all of it tinder-dry. A line of orange flames stretched across a hundred yards belching black smoke. It crackled its way forward toward the road, driven by a brisk breeze off the ocean. A handful of abandoned cars cowered beside the road, and two men officiously waved traffic through the smoke sinking onto the road. That was reassuring. The fire had been noticed, and, one presumed, the fire department was already on its way. My husband accelerated, thinking of the ferry. I thought of the fires that had ravaged Greece three years earlier. Then, flames had overtaken whole families as they tried to flee in their cars. Rescuers found the bodies of grandmothers and infants incinerated in their homes. The fires had threatened the ancient site of Olympia, breathing black ashes upon the white ruins and obliterating the surrounding vegetation. The authorities ordered the evacuation of the suburbs of Athens. When the rains finally came, vast stretches of countryside had been charred. The blackened corpses of entire olive orchards and forests scar the countryside even today. At the café in front of the ticket office at the port, we watched the smoke billowing up from the far side of the mountain. The ferry arrived on schedule and backed up to the quay. Scores of cars bounced off the ship onto the quay and we clanged our way up the ramp to be directed to a spot on the deck. Only after we’d left the car and taken our seats, did we look again at the mountains. The smoke was thicker and more ominous than ever. With considerable excitement, the other passengers pointed to an approaching helicopter. A large container was slung below its belly. It dumped the liquid contents of the container onto the flames and then swung out over the bay. Slowly and loudly it settled itself down almost to the surface of the water. The wind from the propellers flattened the sea and sent spume in all directions. The container scooped up sea water and then the helicopter strained to lift it. Water splashed over the sides of giant bucket as the chopper heeled over and turned away in a wide arc. Meanwhile two fixed-wing aircraft joined the fight. Yet the fire raged on unimpressed. Without warning, the ferry raised its ramps and departed. It nosed out into the Gulf of Laconia. Off our bows all was serene, Mediterranean beauty – bright blue seas occasionally crested by brilliant white, waves. On the opposite shore, white villages nestled in the contours of the distant hills barely discernable through the summer haze. Behind us, the smoke had transformed the entire island into the image of an active volcano: huge clouds of smoke rolled upwards to be torn away by the wind in a long, untidy plume. By the time we reached Neapoli it was impossible to distinguish smoke from haze, and on the evening news it was reported that man and his machines had contained the fire. But, I wondered, what would it have been like in ancient times? – without the help of machines? If the fires even today can so easily run wild, what terror they must have wrought when there were no pump trucks, no helicopters and no aircraft. The climate was the same and the dried vegetation just as vulnerable to ignition, but there were no mobile phones or radios to get word to the authorities – whoever they were. And if even automobiles cannot outrun these fires when they are running, how could people on foot, cart and horse hope to outrun them? No wonder, fire was one of the four horses of the apocalypse. Something worth noting for future books on this part of the world…. 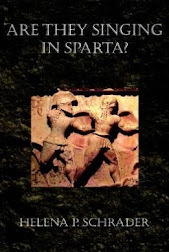 First Review of "Leonidas of Sparta: A Boy of the Agoge"
Helena Schrader has in this book fulfilled her introductory promise to look at Spartan life from a completely different position. She clearly has done her research on a relatively little-known but frequently maligned aspect of ancient Sparta; its education system, or "agoge". Instead of the to-be-expected detailed examination of brutality and pedophilia, Ms Schrader describes, through the character of young King Leonidas, what to my mind is a far more likely youth training system. Certainly it was tough and certainly the objective of producing hard and disciplined soldiers for Sparta was never lost sight of (think of a life-long Marine boot camp). But we know that Spartans were in reality far from being a mob of unthinking automatons capable of functioning only under orders and in fear of draconian punishment. There was music, poetry, art, and actual thought in archaic and classic Sparta and Ms Schrader brings all this out beautifully. Desite the difference of some 2500 years, as a former career Army officer I could readily relate to Leonidas' struggles and to the overall training effort as well. Ms Shrader has succeeded with this book and I hope that we will have the opportunity soon to read her works on the rest of Leonidas' life. I should also add that this work is perfectly suitable for older teen-age readers as well as for adults. There is general consensus among both ancient and modern commentators that the Spartan agoge was a state-run institution intended to produce ideal soldiers for the Spartan army. Thus Spartan youth were taught only as much literacy as “was necessary,” and great emphasis was placed on physical strength, endurance and discipline. 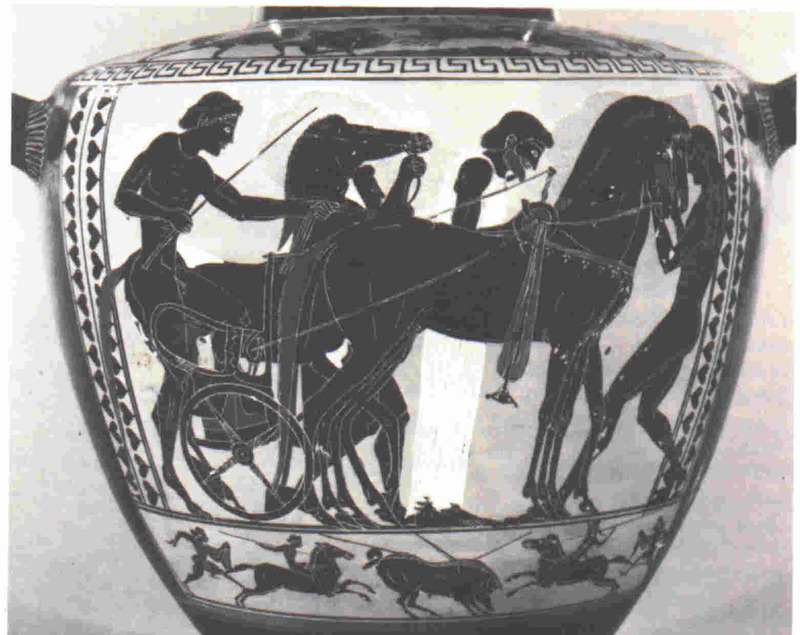 Most modern writers have taken this to mean that Spartan youth were essentially illiterate brutes, who allowed themselves to be whipped to unconsciousness while growing up and after gaining the citizenship dumbly accepted the decisions of the Gerousia and/or kings with no particular self-will while obeying orders like automatons in the army. Without even addressing the issue of literacy which has been handled elsewhere (see Ellen Millender’s excellent articled “Spartan Literacy Revisited” in Classical Antiquity, Vol. 20/No.1/April 2001 and/or Jean Ducat’s essay “Perspectives on Spartan Education in the Classical Period,” in Sparta: New Perspectives, ed. Stephen Hodkinson and Anton Powell, 1999), I have a number of problems with this interpretation of Spartan society. First, as any officer can tell you, the best soldiers are not automatons who wait for orders but thinking, self-confident soldiers who can take initiative and act without – or even against – orders if necessary. The famous case of Amompharetus refusing to obey Pausanias’ orders on the eve of the Battle of Plataea is a dramatic case in point demonstrating that Spartans not only didn’t always obey orders – not even on the battlefield, much less in other circumstances. Furthermore, it highlights the fact that superiors in the Spartan army did not feel that they could command obedience. Amompharetus was not, after all, summarily executed or even relieved of his command. Instead, Pausanias tried to reason with him and finally ordered the rest of the army to move out. Likewise, Sparta had sufficient confidence in the judgment of its individual commanders to repeatedly send men of “ordinary” status out act as advisors to foreign powers, such as Gylippus in Syracus. Second, the Spartan Assembly, in which all products of the agoge exercised their rights as citizens, was by no means powerless or docile. The Assembly had real powers, indeed more than the kings. The Assembly elected the ephors every year and members of the Gerousia whenever vacancies occurred due to death. Hence men with political ambitions had to lobby and ensure a majority of votes against rivals. Also, according to most interpretations of the Great Rhetra, the Assembly had “the final say” on legislation. The Assembly forced more than one king into exile (e.g. Cleomenes I, Leotychidas, Pleistoanax) and could condemn commanders who exceeded instructions from Pausanius to Phoebidas. Most important, however, the Spartan assembly was made up of her soldiers and her soldiers knew that they represented the might and power of Sparta. A body in which a large minority was composed of virile young men, in peak physical condition, who have been raised to think of themselves as the elite of their profession is unlikely to have been docile. The men who were to be officers and admirals, magistrates, governors, ambassadors and military advisors around the world rose through the ranks of the army – and all had a voice (and probably a following) in the Assembly. Even if some citizens were indifferent to politics and willing to do what others advised, in every generation there were ambitious young men willing to challenge existing authority. Certainly the Assembly as a whole could be quite rowdy as the example of the Assembly (“the Spartans” – not the ephors or Gerousia) throwing the Persian emissaries of Darius down a well demonstrates. What the above suggests is that Spartan citizens were anything but mindless automatons manipulated by their officers and political leaders, but self-confident citizens with a highly developed sense of their own power and confidence in their own capabilities and judgment. Furthermore, these were the characteristics - not blind-obedience, senseless acceptance of suffering, or mute endurance of hardship - that the agoge was intended to foster. The agoge was neither intended nor designed to produce just soldiers but citizens, who would serve Sparta long after they went off active service in a variety of political and diplomatic capacities. Sparta did not want or need docile political pawns or mindless slaves but rather thinking and responsible citizens capable of assuming responsibility and command. Only if one recognizes these broader objectives of the agoge is it possible to understand how it worked – something I will discuss in a later blog entry. Leonidas is arguably the most famous of all Spartans. There have been numerous works of art which depict him. He has been made the hero of a recent, popular film. There is even an entire line of chocolate confectionary named after him! But no serious biography has even been written, and what is best known about him and most often portrayed is his death. 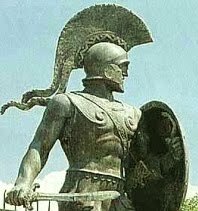 Leonidas is remembered for the commanding the Greek forces, which defended the Pass at Thermopylae against an invading Persian army that vastly outnumbered them. Because Persia was then an autocratic empire headed by a King, while the Greek forces at Thermopylae were sent by a coalition of democratic Greek city-states, Leonidas became the incarnation of Freedom fighting Tyranny. Leonidas is particularly remembered for refusing to surrender despite betrayal that made defeat absolutely certain. Thus he also came to symbolize the noblest form of military courage and self-sacrifice. Consequently, the events leading up to the three day battle and the death of Leonidas with 300 other Spartans at Thermopylae have been the focus of historians and artists of all media from Herodotus onward. But Leonidas had lived perhaps as long as sixty years before that battle took place, and he had reigned for ten. It was those years preceding the final confrontation with Persia that made him the man he would be at Thermopylae. To the extent that we admire his defiant stand, learning more about his early life and tracing the development of his character is important. Arguably, understanding what made Leonidas the hero he was is a useful lesson for future generations. Yet so very little is actually known about his early life, that historians have been discouraged from attempting a biography. Novelists, fortunately, enjoy more freedom, and what we do know about Leonidas’ early life is enticing. Leonidas was born into the senior of Sparta’s ruling families, but he was born to his mother late in her life and had two elder brothers. As a result, unlike most of Sparta’s kings, he attended the Spartan public school or agoge and underwent the harsh training of ordinary Spartans that has been the subject of so much fascinated – and often appalled - commentary. He married the daughter of his half-brother and predecessor, a sharp – not to say sharp-tongued – woman, who epitomized everything other Greeks abhorred and condemned about Spartan women. 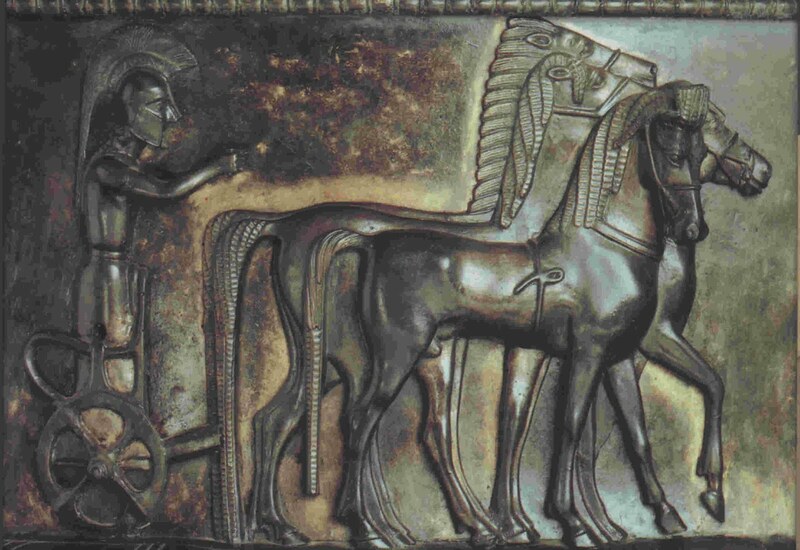 Most important, he was elected to lead a coalition of Greek forces against the Persians. This latter fact has far too often been undervalued by historians. It is usually interpreted simply as a tribute to Sparta’s military reputation or her political position as the leading power of the age. This all too glibly overlooks the fact that Sparta had two kings and his co-monarch Leotychidas could have represented Sparta just as completely. Even more important, it ignores the fact that just two years after Leonidas’ death, the same coalition of forces preferred Athenian leadership to submitting to command by Leonidas’ successor Pausanias – and Pausanias had won the battle of Plataea! Sparta was not less powerful in 478 than she had been in 480, and her reputation at arms had never been greater. If simply being Spartan was all that mattered to the allies, the coalition would have asked Sparta to send King Leotychidas or another Spartan general to replace Pausanias, but they did not. In short, Leonidas was elected to lead the coalition, not simply because he was Spartan but because he enjoyed the trust of the coalition partners. 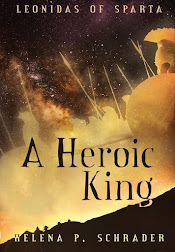 Combining the few known facts we have about Leonidas and his wife Gorgo, listening to the sayings attributed to them both, and knowing how Leonidas met his destiny at Thermopylae, I have written the Leonidas Trilogy. 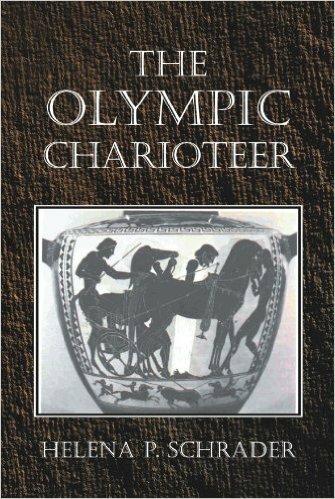 The three part biographical novel incorporates all that is known about Leonidas and Gorgo and their society. It interprets these facts and then interpolates from these facts to a reasonable hypothesis of what Leonidas and Gorgo’s CVs could have been. The characters that emerge are far greater than the historical input. Leonidas is consciously portrayed as the quintessential Spartan because that is what he has become in legend. Gorgo, likewise, epitomizes that which set Spartan women apart from their contemporaries – without robbing her of individual traits and personality. The two principals are surrounded by a large cast of secondary characters, each of which is unique and complex. The resulting tapestry is a seamless mixture of plot, character development and historical events against the backdrop of a fascinating and unique society.